Columbia has an active and engaged community that was born out of the progressive urban planning ideas of the late Jim Rouse, its founder, more than 40 years ago. Now Rouse’s pioneering planned community is embarking on a new phase in its growth and development, as its residents and officials seek to redesign and rebuild its unique downtown. Rouse hoped to make Columbia a new kind of American community that would, through rational planning, avoid the problems associated with the decay that was settling upon America’s big cities and the unplanned and often unsightly sprawl that marked its ever-burgeoning suburbs. Though in part motivated by social concerns, Rouse also was a successful business man who knew that Columbia had to be profitable if it was to survive and thrive. Almost since Columbia’s founding, its residents and officials have debated how to improve its downtown core. Most recently, in October 2005, residents gathered with Columbia and Howard County government officials for a week-long series of public meetings called a “charrette.” The meetings were designed to listen to the thoughts of the community on how Downtown Columbia should be redeveloped over the next 30 years and from the input, to develop a master plan to guide downtown’s continued evolution as the County’s economic and cultural center. 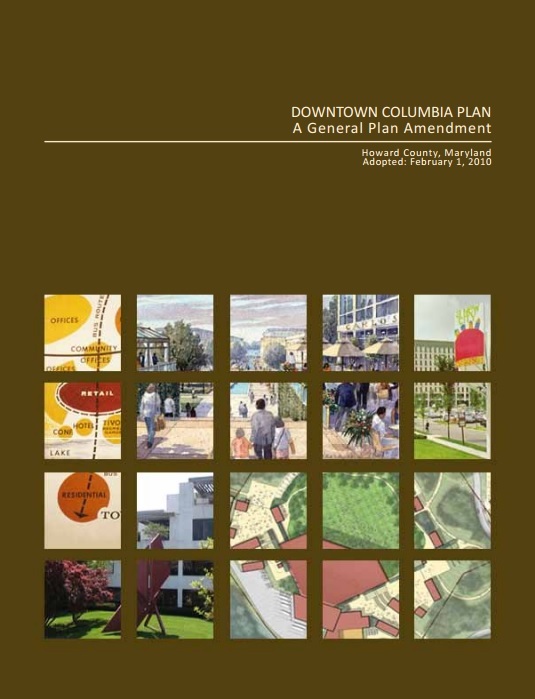 Download and read more about the downtown columbia plan.